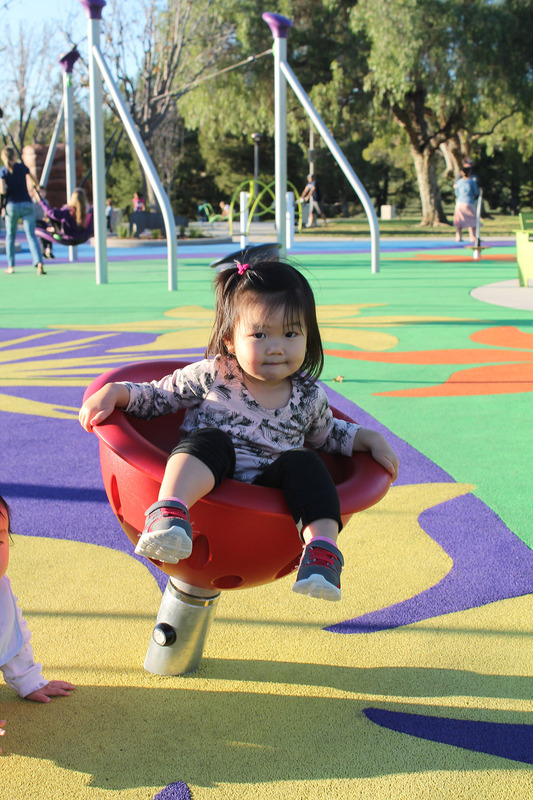 Pavion Park Playground is about universal play, and providing fun activities and equal access for all, including children and caregivers of all ages and abilities. 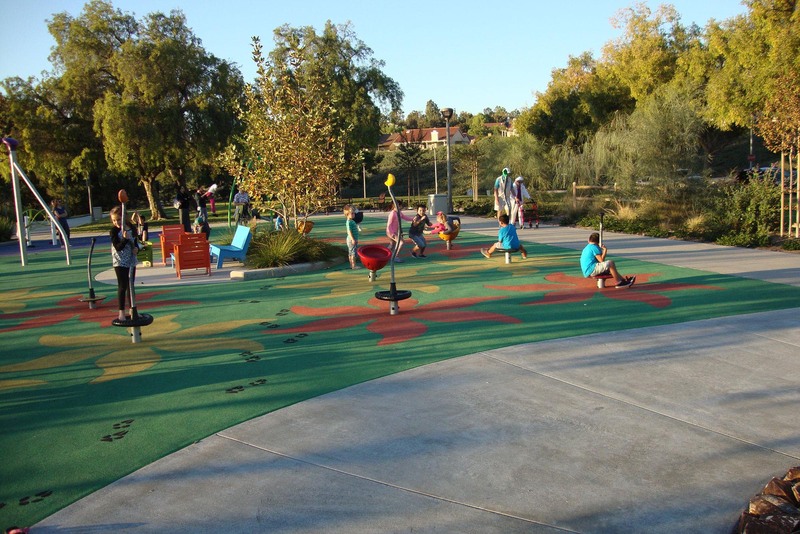 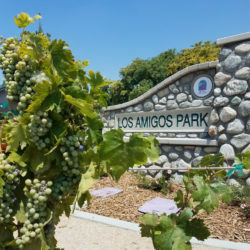 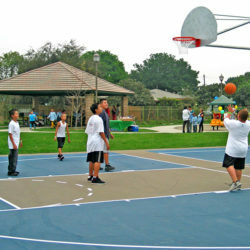 The City of Mission Viejo contracted RJM to update its old playground with an emphasis on Universal design. 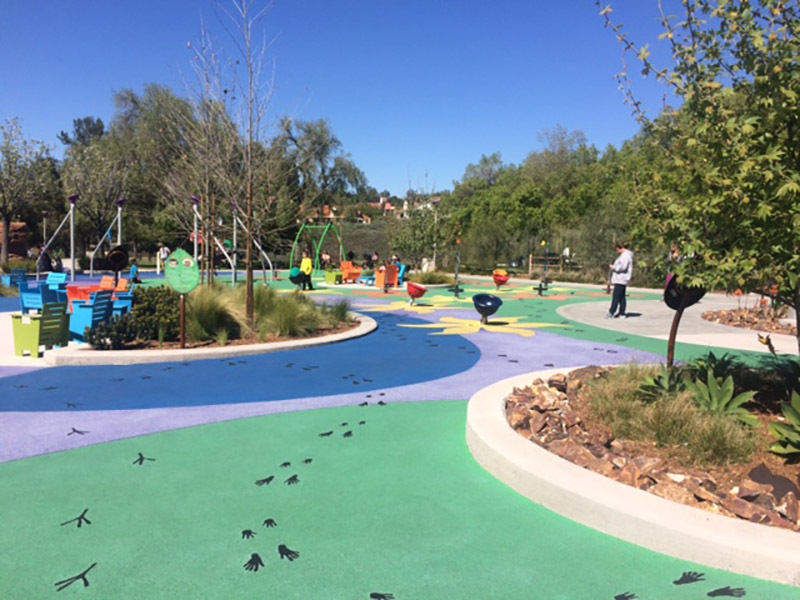 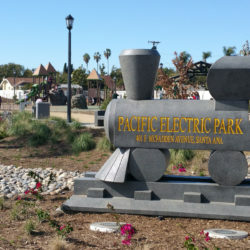 The park retained its original features such as a Braille wall and dedicated off-street accessible parking, while adding new features that include a rubberized surface with footprints/signage of indigenous animals from adjacent Oso Creek, and new equipment that reinforces the universal-design principles. 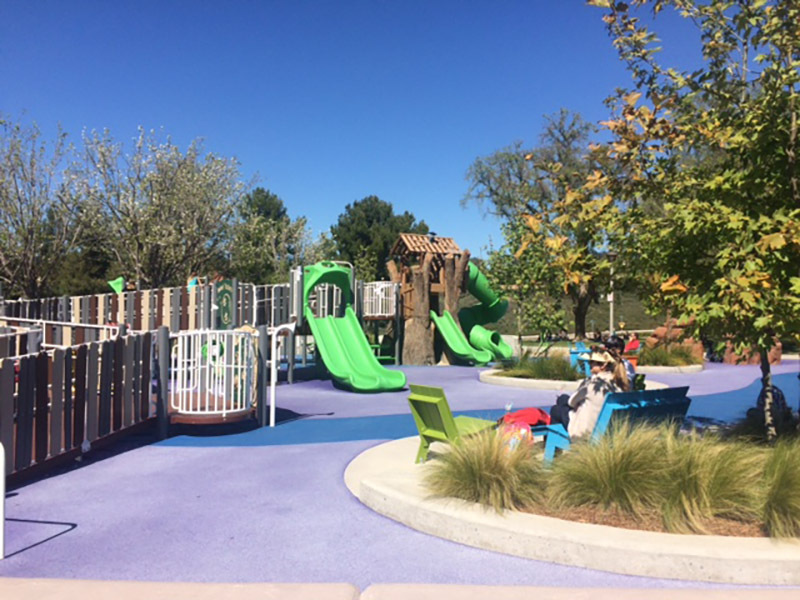 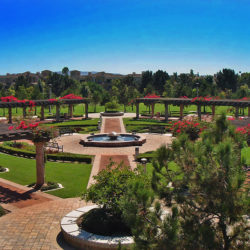 The park includes a wide variety of accessible play equipment including a main tree house with slides and accessible ramps and interactive boards, rocking boat that fits a wheel chair, accessible sand diggers, spinners, swings that are equipped with harness/support to protect a child’s neck, and interactive light/sound games. 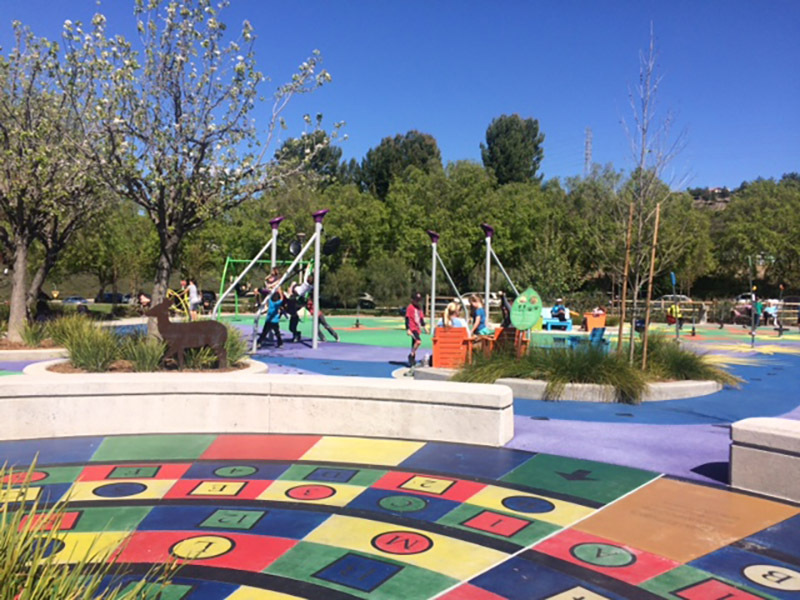 Shade trees surround the playground, and benches and chairs face one another and are embedded throughout the playground to encourage visitors to interact. 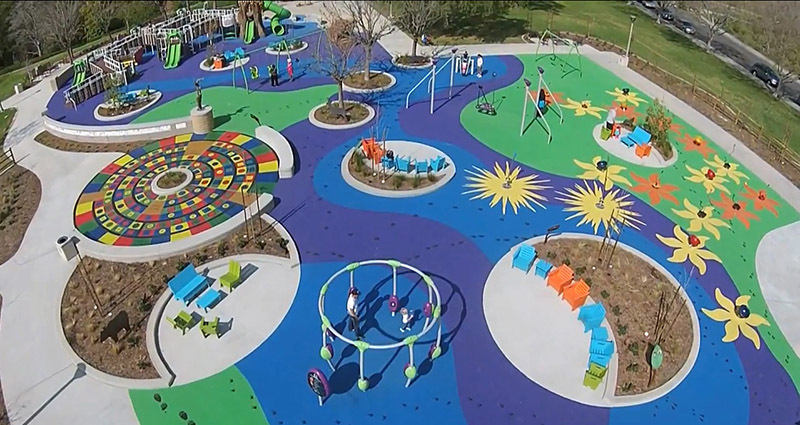 Learn more about the playground in this video.